Altitude Products says it is actively developing the technologies to create ultra-premium products that replace dangerous pharmaceutical drugs with THC and CBD wellness products. Altitude’s brands include The Weekend Box, Bella, Felix & Ambrosia, Whoopi & Maya, Caviar Gold, and more. The greatest misconceptions about the cannabis industry are that you have to have a ton of money to be involved. 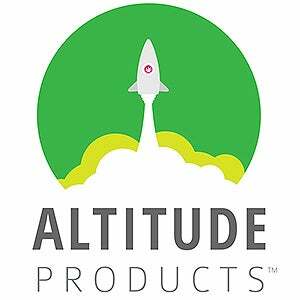 Altitude Products started as one mom on her couch determined to do better for the cannabis industry. Today, it has grown to include six THC and nine CBD wellness brands in several states led by that same mom. Our organization didn't start with a venture capitalist or a family fortune. We started with a dream and one client who believed in us enough to write a check for our services. Altitude Products is innovating through brand development and formulation every day. Thanks to our team, we are working on ways to help plant medicine seamlessly integrate into your lifestyle. Our Felix & Ambrosia flavor drops make it easy for music festival attendees to consume CBD in a water bottle, boosting your immune system and giving you optimal wellness on-the-go. Our Bella products have changed the game for eczema sufferers, who have a luxurious, spa quality cream to heal their skin and minimize flair ups. "That's cute." When is the last time men in suits listened to a pitch and replied with that? Our founder heard it from an industry leader when she pitched her idea to expand her successful advertising agency into products. Sadly, the misogyny investors have been known for in the startup world is alive and well in the cannabis industry. We are proud of our diverse organization, led by women, LGBTQ+ members, veterans, and the investors who share our values of leading with diverse perspectives. The more diverse, the better for the sake of our entire industry. The entire cannabis industry is a startup, so the opportunities to innovate are endless. We are on the cutting edge of innovation with our product formulations, but we have the opportunity to innovate what a successful cannabis company looks and feels like. We are challenging the stereotypes and status quo every day by inventing a new way to exist in our industry. We are inspired by the people we get to work with in this industry. On our team, Craig Meland's creativity blows our mind and Melissa Romero's attention to detail for regulations is impeccable. Industry leaders like Beth Stavola and Jane West manage to have it all, juggling 25 projects without breaking a sweat. Story tellers like Rosie Mattio and Ophelia Chung are always shining a bright light on stories of patients, leaders, and advocates. We are surrounded daily by people whose lives are transformed by plant medicine.